San Francisco has a drinking scene that is as diverse as the foodie scene with everything from fancy dress-code bars to hole-in-the-wall pubs with peeling couch cushions and questionable cleanliness. That means if you’re looking for the best cocktail bars in San Francisco, you’ll have plenty of options and just might need to do a cocktail crawl. The best cocktail bars in San Francisco can take you back in time or shoot you into the future, allowing you to enjoy an amazing night out in Fog City. 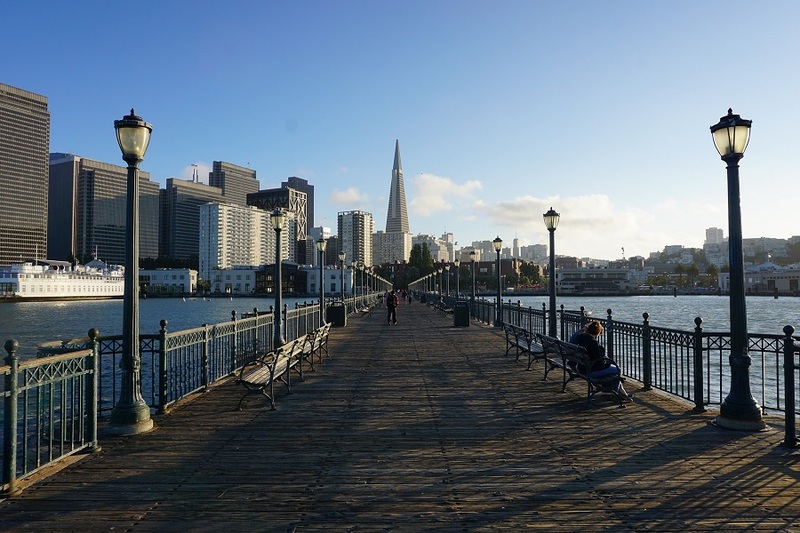 There are plenty of places to get a cocktail in San Francisco, even if you find yourself in the tourist spots. 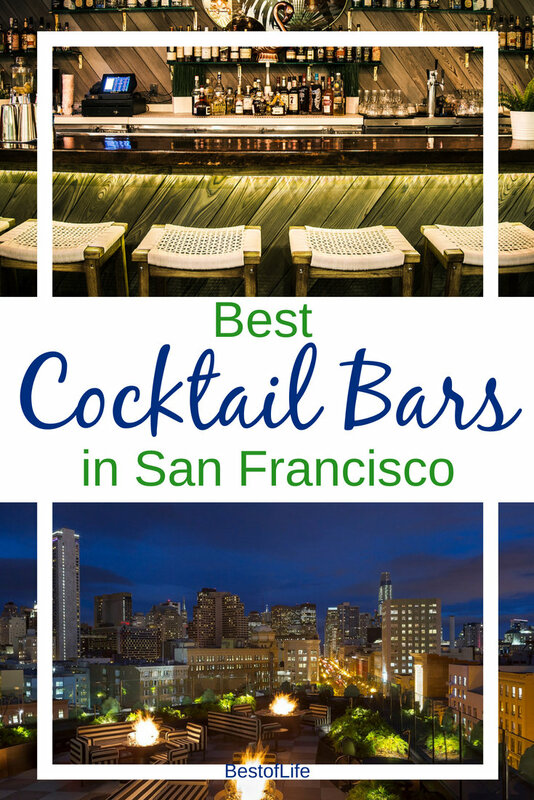 But it may take a bit of work to find the best cocktail bars in San Francisco. First, you have to decide what makes a cocktail the best one in your eyes. Does a cocktail need to be poured with a heavy hand or do you prefer something where you can’t taste the alcohol? The best cocktail should be somewhere in between the two options. A good cocktail tastes amazing, enhances the flavor of the alcohol but doesn’t let the actual alcohol overpower the drink. The best bars in San Francisco know how to make the perfect cocktail and provide you with an amazing night in the city that knows how. The Snug is one of the best cocktail bars in San Francisco, even though cocktails aren’t the specialty. In fact, The Snug has an amazing wine list and some of the best beers that you will have a hard time finding anywhere else. Still, the cocktails stand on their own so much that no one would object if they switched to being a cocktail-only bar. While The Snug sounds like it would be a fancy place with an uptight feeling, it is actually a casual spot that has a beer and a shot special. Can’t get more casual than that. Many people who live in the Richmond District work elsewhere in the city and when they come home, they just want to relax in a comfy place and get a drink. Violet’s is that place and the home-like feel of the decor and bar’s design is proof. For further proof, look no further than the signature cocktail, Violet Skies. If you want something a little stronger, explore the rest of the menu and give other drinks a try. Many of the cocktails are signature ones but you could always go with a classic that you already love. Any list of the best cocktail bars in San Francisco should include at least one tiki-themed bar. There are plenty of tiki bars you can go to and most of them are good but Del Mar is a beast all its own. In fact, Del Mar is more of a tropical place with a dash of tiki thrown into the mix. Either way, the rum-based cocktails at Del Mar are better than any rum drink you’ve had before. Sure, there are drinks that come from bowls and meant to be shared but that’s what makes Del Mar a wonderfully tropical escape from the city. When you search for the best cocktail bars in San Francisco or any city really, you’ll want to try a rooftop bar. Rooftop bars let you get amazing views of the city and often have the best drinks because they’re fancy. Charmaine’s is the epitome of a rooftop bar in San Francisco. First, there’s the hotel below, then there’s the amazing view of Market Street and beyond, finally, there are the amazing drinks. You’ll know you’ve made it to Charmaine’s when you find drinks that are called things like the Christmas and the Beads of Sweat or Wind Gap. These drinks are two of the most popular drinks but you can’t go wrong with just about anything off the menu. Walk into School Night on actual school nights, Sunday through Wednesday for the Mexican-Peruvian food and stay for the cocktails that are paired with each dish. This bar is designed to be the place for locals but everyone is welcome. The signature cocktails have a few different focuses like pisco, whiskey, tequila, and mezcal. There is also a beer and wine menu but the cocktails will always be the star of the show at School Night. 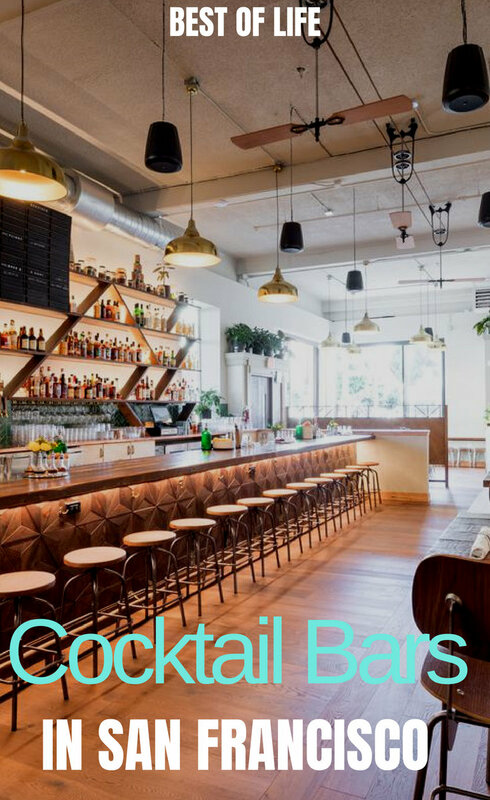 In fact, while School Night is still relatively new, it is already considered one of the best cocktail bars in San Francisco. San Francisco is known for many different things but the biggest thing it’s known for is its diverse foodie community. There are restaurants of all different kinds, from farm-to-table breakfast spots to family-friendly dessert places. But for the more adult crowd, you’ll want to head to the bars.